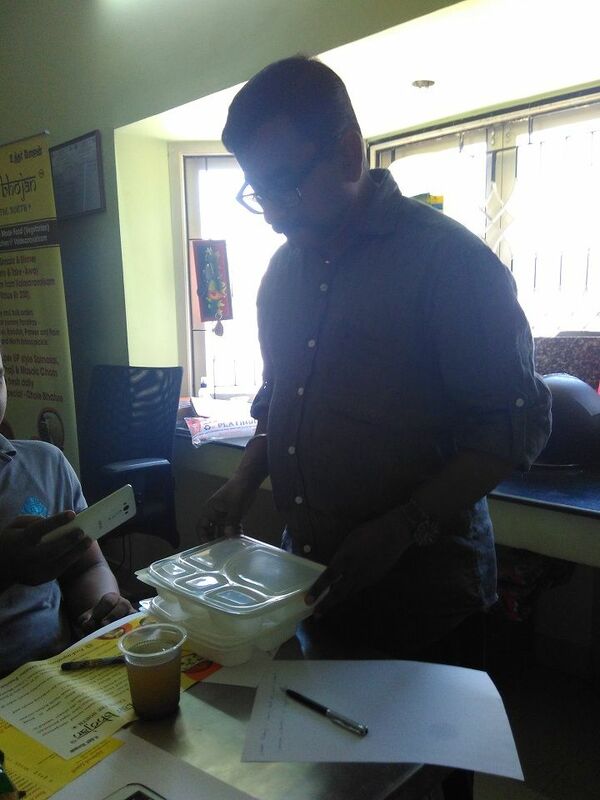 That’s Krishnan KS, the biggest brother (CEO) of the Uttar Bhojan family, showing us the quality of packing materials that they use in their restaurant. The plastic materials they use for packing are microwave-grade, hence safe to use with hot food, he said. We ought to be careful about the packing material as plastic is made of petroleum, and oil can easily leach into the food if poor quality plastic is used. This was the reason why plastic cups used by local vendors to serve tea changed into paper cups! You can also see the welcome drink we received – Nimbu Shikanji. It was an awesome twist to nimbu paani – they have added a few spices, etc. to lime juice. Highly recommended. It seems Krishnan KS worked in corporate companies for more than two decades before plunging full-time into the food business last year. He says the lack of availability of authentic North Indian food, even in popular Chennai restaurants, was a trigger factor. 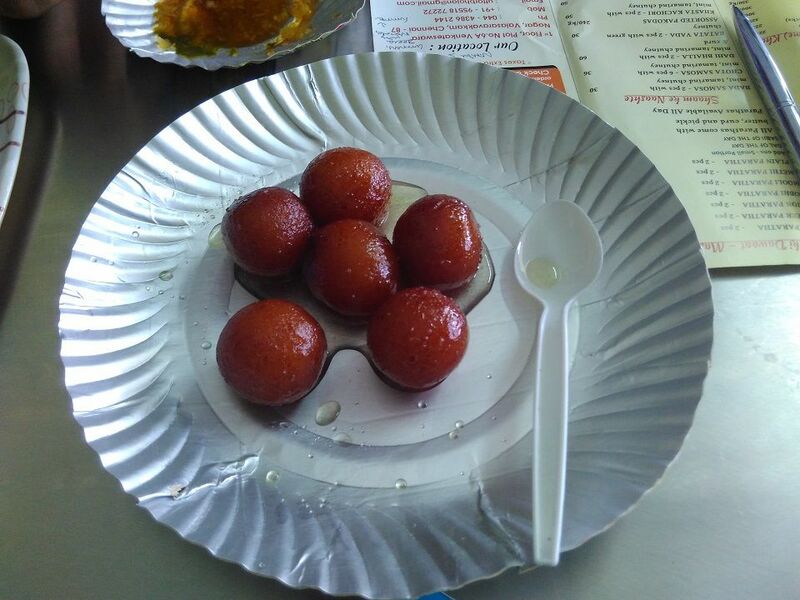 Born and brought up in Ghaziabad, Uttar Pradesh, Krishnan has a solid background in North Indian food. 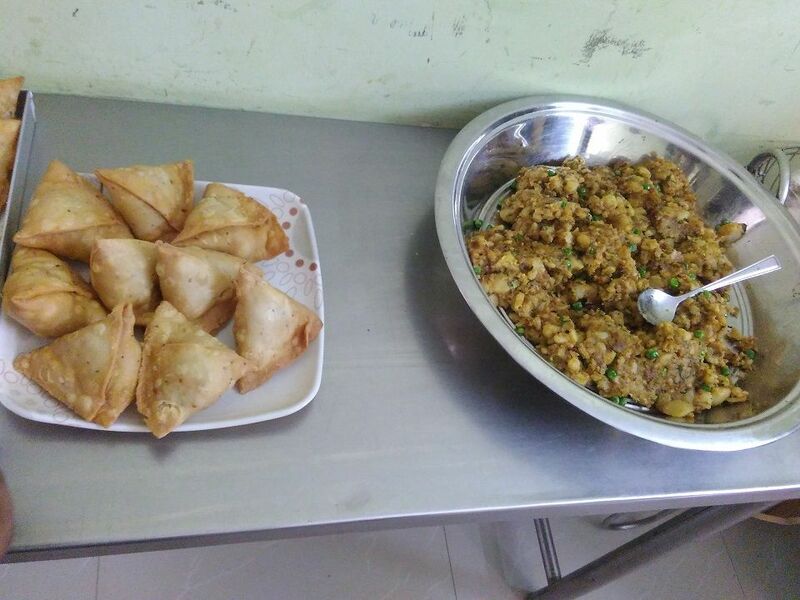 Since he has hired cooks through his childhood connections from the North, he is able to bring North Indian flavors to South India. 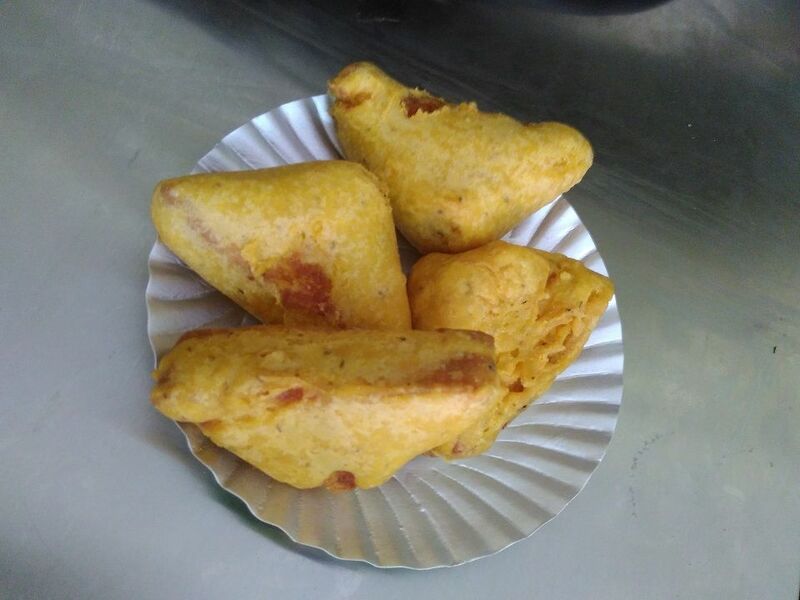 That’s bread bajji in the above photo and unlike what is available elsewhere in Chennai, they also stuff aloo inside. Of course, being a North Indian food joint, one of their/customer’s favorite is Paratha. 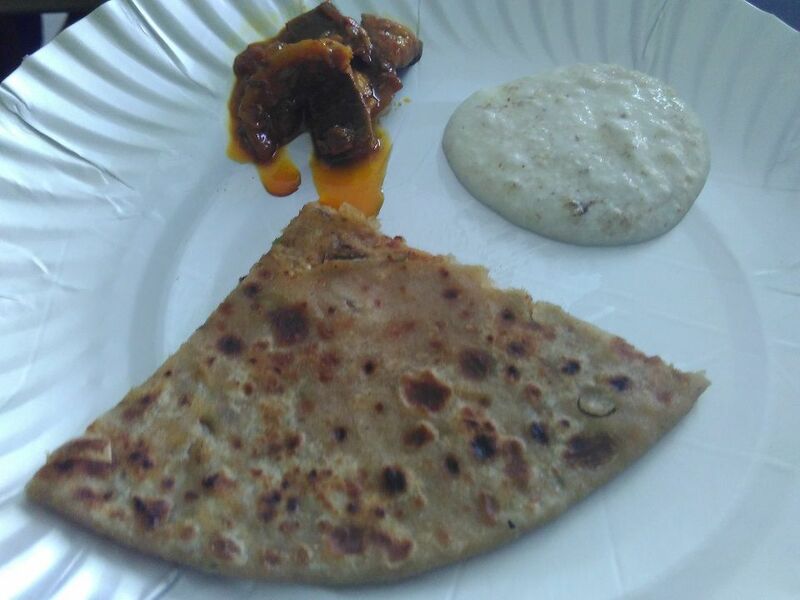 They make different types of parathas, but this is the first time I ate parathas with pickle (Tops brand, popular in Delhi) and curd. We felt although the parathas (and side-dish) felt smooth & tasted great, there was not much to differentiate between the different parathas, except aloo paratha. Also, I prefer daal or aloo-mutter, etc. as side dish instead of pickle! 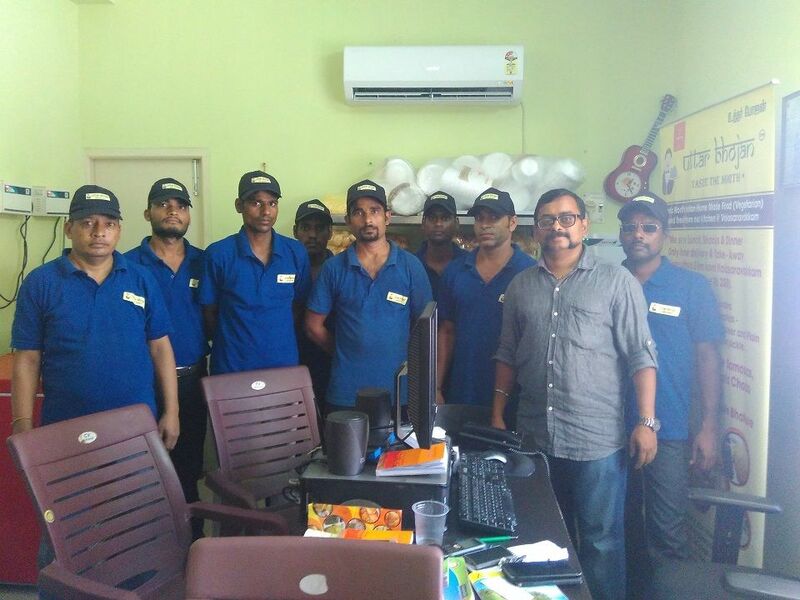 Here is a pic of Krishnan and his team. Krishnan’s ancestors are from Thrissur, Kerala but he was born and brought up in Uttar Pradesh. He spoke to us for more than four hours without even eating lunch. That speaks loads about his passion for his business. I wish him all the very best for making Uttar Bhojan a house-hold name, and for expanding to other states and countries soon, as per his wish. You can order home delivery for Uttar Bhojan from Zomato if you stay in the 5 K.M. radius around Valasaravakkam. Or you can find them on their website. Sounds like a great restaurant. Loved the dishes in the pictures. Valasaravakkam is too far away for us from Besant Nagar. Will try the one opposite Besant nagar beach! Thanks for introducing this restaurant. Good luck to Krishnan. We need one more good restaurant in our area! 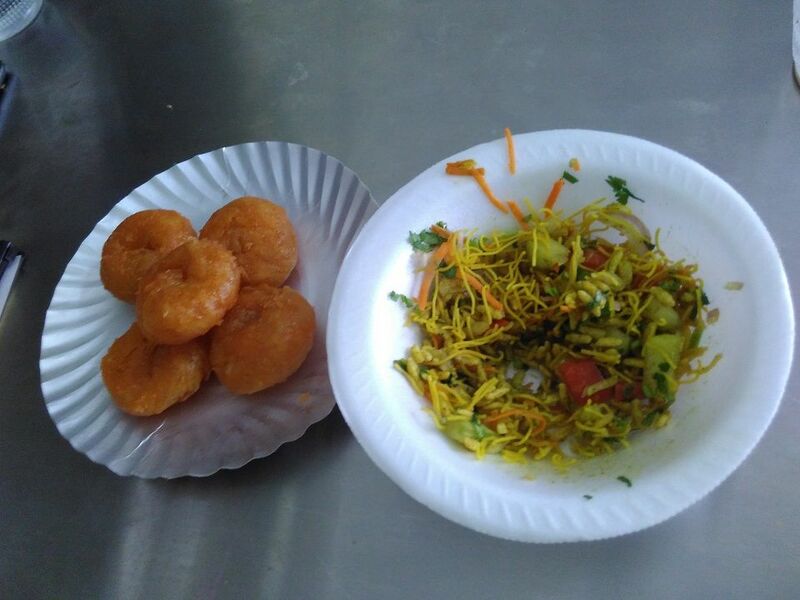 Except badusha and noodles, others are my favourite ones… I hope they bring the real essence of these items. Great to know their health conscious in preparing and serving the dishes… Let me try their dishes at the besant nagar outlet sometime. It is all fine. How about the prices? is it $ or $$ or $$$ or $$$$? Thanks for sharing.. yummy.. yummy food.. The food looks great. Good for North Indians though if I am in Chennai, I would eat nothing but authentic South Indian food! So mouthwatering those dishes are. Look just like they make in North India (i am from Haryana myself, so loved the visual treat)! Hope they make a mark in this value-for-money intensive market.